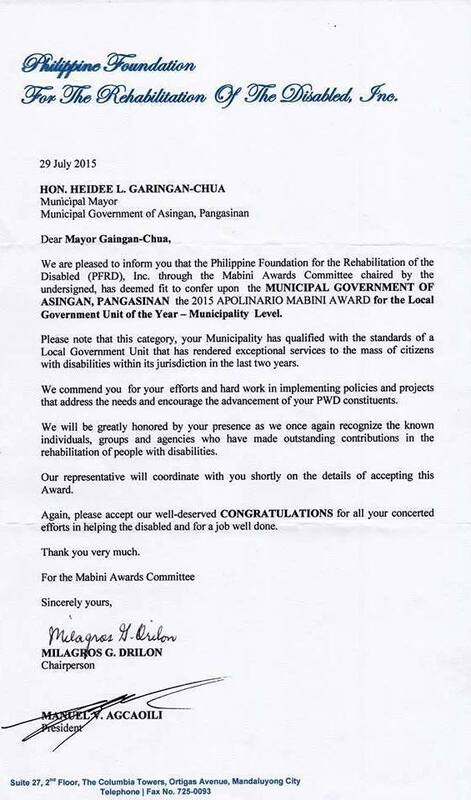 The Apolinario Mabini Awards of the Philippine Foundation for the Rehabilitation of Disabled (PFRD) has cited our municipal government as LGU of the Year again. It was recognized for its “exceptional programs and services rendered to further the welfare and protection of its Persons with Disabilities (PWD) constituents through the ordinances and Executive Orders passed and implementation of projects that create PWD awareness”. Arya Asingan!